The [Original Audio] George Jackson Tribute Mixtape - iMWiL! 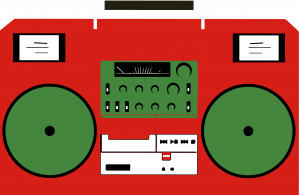 We’ll start our Black August celebration a little early this year by re-posting our 2006 George Jackson FreeMix Radio Mixtape. This mixtape features DC-area artists and activists reading portions of Jackson’s work and a bunch of good music from folks like Public Enemy, Dead Prez, Blitz, Hasan Salaam, Asheru, Head-Roc, Black United Front, Wise Intelligent, Immortal Technique, Mos Def, Lil’ Wayne, RZA, Ghostface Killah, and many more. We also borrowed of few minutes from the classic Freedom Archives audio documentary Prisons on Fire: George Jackson, Attica and Black Liberation and a Bay Area television documentary (below) Day of the Gun. And click here for our other Black August related posts! Pingback: George Jackson: Releasing The Dragon (A Video Mixtape) – iMiXWHATiLiKE! instructions you are posting at this site. been honored with professional tips to exchange with my colleagues. I would claim that we site visitors are extremely blessed to live in a fine site with very many special people with great pointers. Pingback: THE DRAGON HAS COME! GEORGE JACKSON: RELEASING THE DRAGON – A VIDEO MIXTAPE! | iMiXWHATiLiKE!